Coyotes are adapted to living in suburban and urban areas and can be found in cities large and small across the United States. 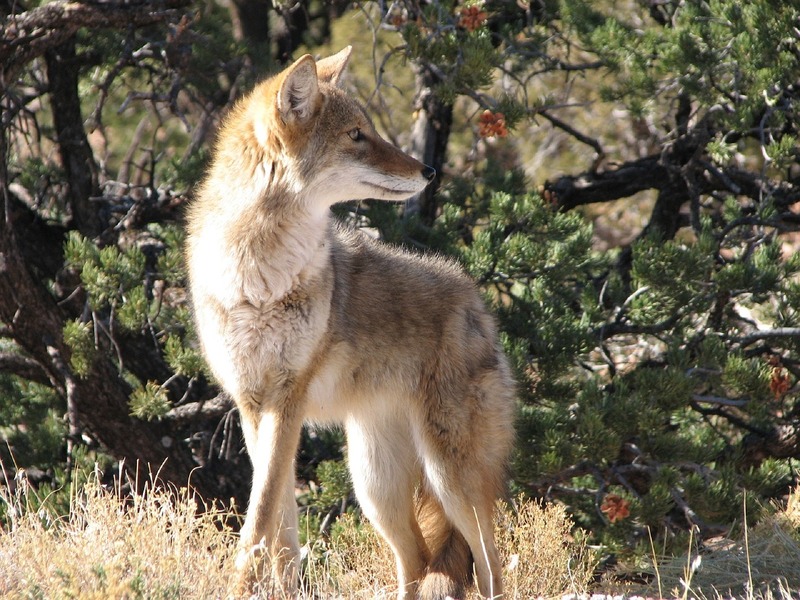 During March and April, coyotes have their litters of pups and consequently need to find more food. In addition, "teenagers" from previous years' litters may be breaking off from the pack and "going it on their own". This can cause them to venture into places they normally wouldn’t and to be seen more frequently during the daylight hours. Coyotes have a natural fear of humans. If a coyote has become comfortable in an area and nothing about people has scared them, they may not be concerned with your presence. However, a great tool to re-instill the fear is to follow HSUS Hazing Guidelines. Hazing involves scare techniques that makes the coyote want to get far away from people and is very effective. Grapevine Animal Services recommends keeping your cats inside and monitoring small dogs in the yard, especially during dawn and dusk. They can easily be mistaken as prey by a hungry coyote. Securing your garbage bins and bird feeders is also helpful. NEVER feed a coyote--most instances of aggression on a human has resulted because someone was feeding the coyote.